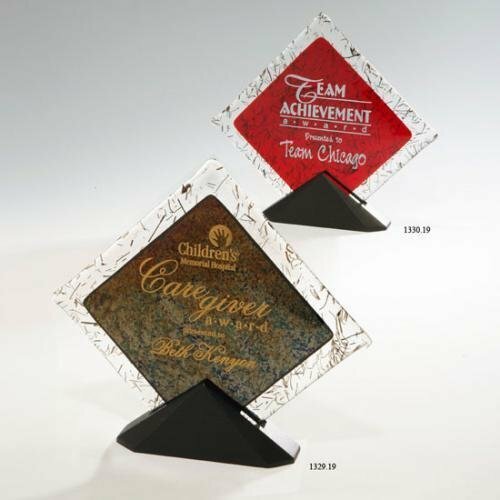 Achievement Awards Universal Awards, located in Bergen County, New Jersey is the supplier of quality, reasonably-priced trophies, plaques, engraving, embroidery, sports apparel and promotional items that reflect your fine taste. We also make custom executive achievement and recognition awards as well as athletic awards. 2-layer star award with a metal star attached to a black acrylic beveled base.